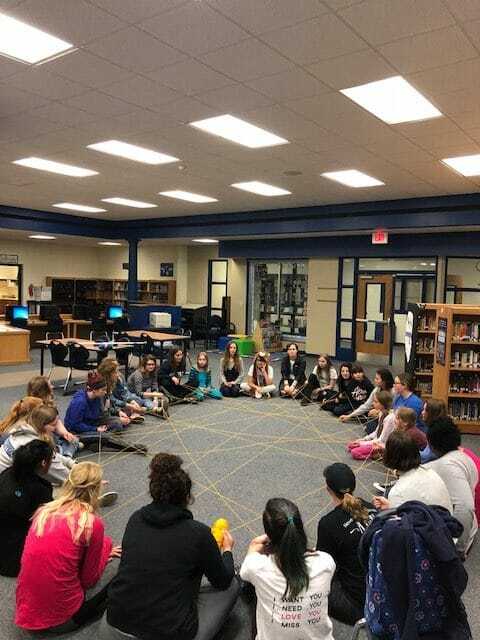 IWIL mentors and Brevard Middle School students play a game that demonstrates connection in a community. The first year IWIL students have committed their Tuesday afternoons this semester to spending time with the sixth grade girls, teaching them life lessons in the process. First-year members of the Institute for Women in Leadership have been spending their Tuesday afternoons this semester with a group of sixth-grade girls at Brevard Middle School. By leading games and activities, IWIL aims to teach the girls a lesson each week.The IWIL women have signed up in groups of two or three to lead activities and games for each Tuesday of the program. Although this is only the third week of active mentoring for this group, the women of IWIL have already had some meaningful experiences with the girls. The IWIL women are learning a lot about what it means to be caretakers and leaders for kids in a school setting. Some of those lessons turn out to be quite practical. IWIL member Abi Fuesler, for By Mary Lewe Staff Writer example, explained one thing the women learned early on about their mentees: the power of food. “The first week we were struggling because the girls were antsy and having trouble focusing,” Fuesler said. “Afterwards it dawned on us that it was because it was three o’clock and they needed a snack, so the second week we brought Goldfish and everything went a lot smoother. We learned the importance of meeting basic needs before advancing to more consuming topics. Alessandra “Le” Tavoloni teaches the first-year IWIL class this semester and supervises the Tuesday afternoon mentoring sessions. Put another way, she is the mentors’ mentor. “The IWIL mentoring program is a unique experience and a great opportunity not only for the middle school sixth graders to learn more about important topics such as social skills, self-image, self-confidence, but also for us mentors to grow as leaders,” Tavoloni said. 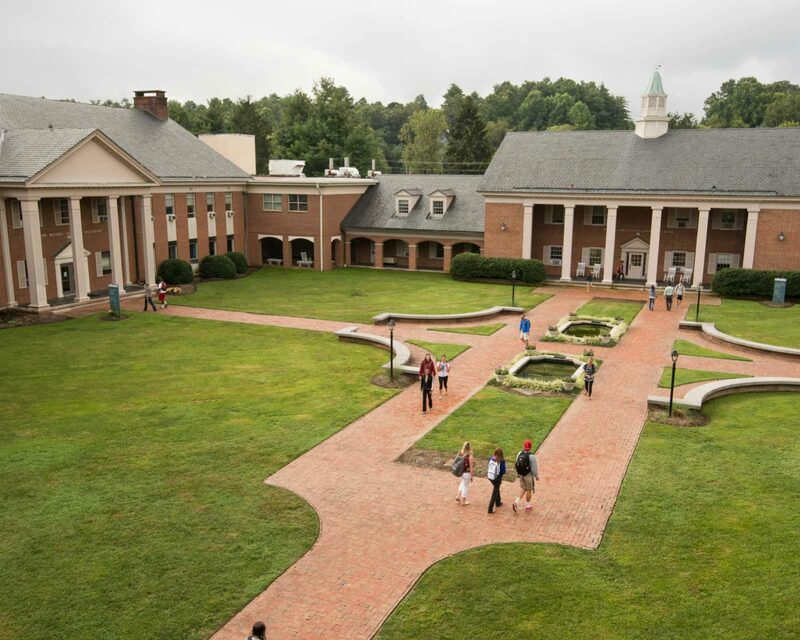 *Originally published in The Clarion student newspaper.